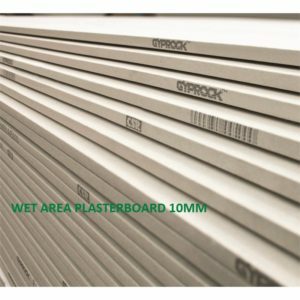 Gyprock Aquachek is part of Gyprock's specialty range of plasterboards. This gypsum plasterboard’s core, face and back are treated to make it resistant to moisture and humidity without compromising integrity. It is specifically designed for use as a lining in wet areas of residential or commercial buildings.